Positive: Big screen; powerful hardware; high performance; excellent display; backlit keys. Model: It is easy to see why MSI is such a big hit with gamers worldwide. Perhaps it has something to with the high number of gaming laptops that they have consistently churned in a year. And this latest gaming laptop from them is no different. 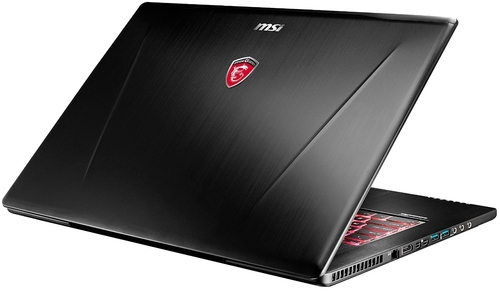 The MSI GS73 Stealth 8RF-007XES is as much of a beast as the last high-end laptop that MSI has previously launched. 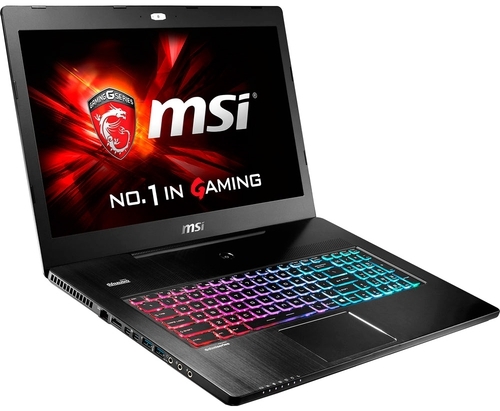 The MSI GS73 Stealth 8RF-007XES is outfitted with one of the hex-ordinary performance eighth generation Intel Core i7 processors, the Intel Core i7-8750H. This ultra-powerful CPU has six processing cores and 12 logical threads (with hyperthreading technology). The processor also clocks at a frequency of 2.2 GHz to 4.1 GHz, all thanks to Intel’s Turbo Boost technology. If the CPU has not already wowed you already, then it is also worth mentioning that this beast of a machine comes with a huge 16 GB RAM of memory. Those who are looking to buy a titan machine may opt to upgrade the memory to a maximum of 32 GB. To complement all this powerful hardware, MSI also made a great decision to include a 256 GB SSD in addition to the traditional 1 TB hard disk drive. The SSD will help to boost the performance of reading and writing to game files. No gaming machine is complete without a powerful graphics card, and the MSI GS73 Stealth 8RF-007XES certainly did not disappoint. MSI has equipped this giant with an Nvidia GeForce GTX 1070 graphics card. This card comes with a whopping 8 GB of GDDR5 VRAM. It goes without saying that this machine is built to run intensive and power-hungry AAA games and other heavy tasks like professional 3D rendering and video and image editing. Now, let’s talk about connectivity and ports. The MSI GS73 Stealth 8RF-007XES certainly did not disappoint. The laptop comes with a USB Type-C / Thunderbolt port, three USB 3.0 ports, one USB 2.0 port, a mini DisplayPort, an HDMI output, an Ethernet port, a 2-in-1 SD card slot, an audio/mic combo jack, and also a dual-band WiFi plus Bluetooth 4.2 combo chip. It is also worth noting that the laptop can connect to three different monitors or TVs with MSI’s innovative Matrix Display through the HDMI output, mini DisplayPort and ThunderBolt output. 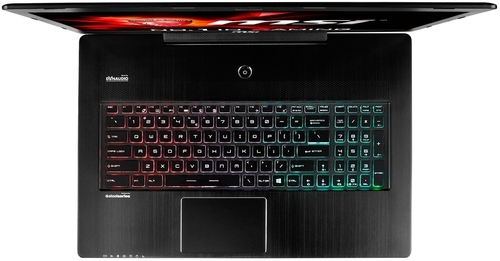 Gamers will also love the backlit per-key RGB keyboard by SteelSeries that has an ergonomic design with only 1.9 mm key travel, support for anti-ghosting and an optimum WASD zone. 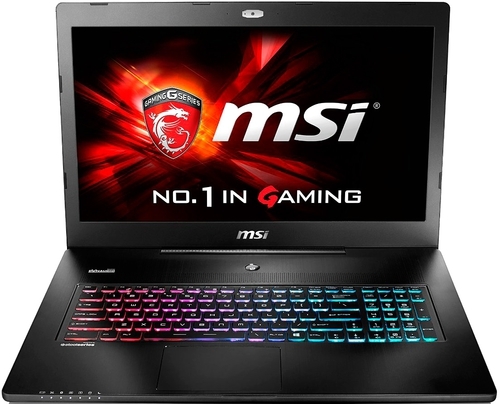 The laptop also comes with a 17-inch Full HD screen with 120 Hz refresh rate and 3 ms response time, which is perfect for those who are into tactical and competitive gaming. 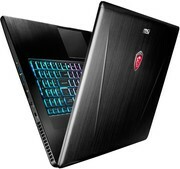 The MSI GS73 Stealth 8RF-007XES is not only a powerful gaming laptop it is also quite portable. For a machine with this configuration, it is such a surprise that with a measurement of 19 x 412 x 284 mm, the MSI GS73 Stealth 8RF-007XES only weighs about 2.4 kg. And that makes it both powerful and lightweight, something that can be justified by its price tag. 7020U: Kaby-Lake based SoC with two CPU cores clocked at 2.3 GHz (no Turbo Boost), HyperThreading and manufactured with an improved 14nm process.» Further information can be found in our Comparison of Mobile Processsors. 92%: There do not exist many models, which are rated better. The most ratings get ratings, which are a bit worse.